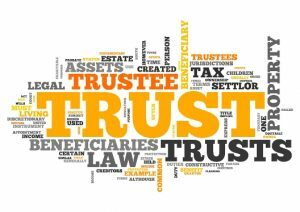 A case study of a successor trustee of his father’s living trust. Are there tax consequences of inheriting a house? Real estate attorney Leo B. Siegel discusses the eviction process for tenants that refuse to move. The tenants could be a sister living in an inherited house, or anyone related or unrelated who lives in the inherited house from parent and refuses to move out. This can be an emotional and complicated matter and even more so when the trust instructs the family home be sold. Leo B. Siegel is a real estate attorney with 34 years of experience handling landlord/tenant issues, evictions, including the type involved in the case study where the successor trustee named in a living trust had to go through the eviction process with a sister living in an inherited house. 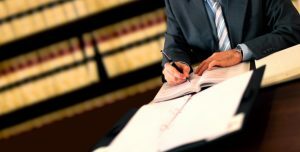 He also handles co-ownership disputes, contract disputes, fraud, title issues, easements, and boundary disputes. Leo may be contacted at (831) 768-9110 or https://www.legalsiegel.org. The trust appointed his son as the successor trustee. At the time his father died, his sister lived in the family home. The siblings are adults. One sibling inherits real estate and the sister who lives in the home does not. The sister that lives in the home did not pay a fair rent, or any rent, and refused to leave after their father died. The terms of the living trust stated after the parents die, the trustee sells the home and split the proceeds. Selling the house occupied by a sibling who lived rent-free in the home and refused to leave presented challenges. As one might imagine, it did not take long before the sibling living in the home became the bad guy. The situation escalated to more than a siblings squabble. The successor trustee needed to sell the home. He did not have the personal finances to make the mortgage payment or pay taxes and insurance. Estate lawyers were unnecessary. The owner of the home had his estate plan in place. A legal document directed the family home gets sold after the father died. There are many types of trusts. Trusts get created to ensure the wishes of the person who creates the trust get fulfilled. We cannot predict the future or events or circumstances that may occur after we die. As a licensed real estate professional it is my best practice to recommend a probate or trust client hire an attorney to manage an eviction versus attempting a do it yourself eviction notice! We can get a printable notice to vacate form from the Internet however there is more to the legal process than filling out a form. We must know the laws and court procedures as well as where to access a tenant notice to vacate form. The successor trustee contacted a law firm and consulted with a California eviction attorney. An attorney prepared the eviction notice form and the sister living in the property got served with legal documents that give notice she needed to move. The legal process in California gave the relative living in the house 60 days to move. 60 days after the sister got served the notices, the sister still refused to leave. 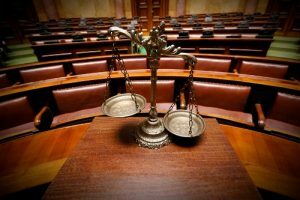 The eviction attorney advised the successor trustee of the next step in the legal process. The attorney prepared the legal forms, and the sister got served with the legal documents. A trial date got scheduled. On the date of the trial, the attorney made several attempts before the trial started, to reach a settlement agreement with the sibling living in the home. The sister was uncooperative. She wanted to stay in the home longer and refused to pay a fair rent. It’s easy for outsiders, or a third party, to judge that the sister who lives in the home was taking advantage by not paying a fair rent and refusing to leave. One sibling will inherit homes as part of the parent’s estate and the sister living in the home gets disinherited. As a real estate professional that specializes in probate and trust sales, it is my best practice to recommend a law firm to manage an eviction. The trust required the home get sold and the successor trustee split the proceeds of the family home. 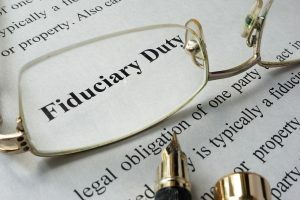 The successor trustee acts as a fiduciary to the trust and must do what the trust directs them to do. Here, selling the residence with the family member living in there would have decreased the value of the house. It is not uncommon for a family home to accumulate a lot of possessions. When parents die, there is often a lot to get cleared out before selling the property. Clearing out the home was not an option while the relative was living there. This was not a friendly situation. The bad guy finger-pointing was in both directions. A disinherited sister who lived rent-free believed she had a right to continue to reside in the home. The father who created the trust did not share his daughter’s belief she had a right to the parents’ estate. The uncooperative sibling did not allow access to show the home. The number of possessions and clutter in the home was excessive. Deferred maintenance was clear throughout the property. The best solution was to hire a law firm to manage the eviction, clear out the home, and prepare the home for the real estate market. This would increase the value of the house. Eviction case got called before the judge. Successor trustee who inherits the family home got asked a series of questions to confirm the facts. The Sister living in the house got asked if she had any objections. There were none. The sister gave her testimony. The sister living in the property asked the judge for more time. The judge advised she must follow the law and legal process. The trial has started and will conclude today. After completing the testimony and discussing the value of the house and fair rent, the judge signed an order in favor of the successor trustee who is the brother who inherits the family home. The court issues a Writ of Possession. Writ gets delivered to the Sheriff with a set of instructions. A notice gets posted on the property with instructions to the occupants. The date of restoration gets noted on the Writ. On the date of possession and restoration, they require the owner to call the Sheriff’s Office at a specified time. The owner, the successor trustee is on standby and waits for the Sheriff to call and advise when they will be at the property to complete the eviction. When the Sheriff arrives they enter the home to ensure the occupants moved out. The owner, successor trustee changes the locks and ensures the home is secure. Sheriff posts a Notice of No Trespassing on the property. This summary does not represent all situations when a family member lives in an inherited house. In this case, it took time and money to pay legal fees to get the sister living in the home out of the property. 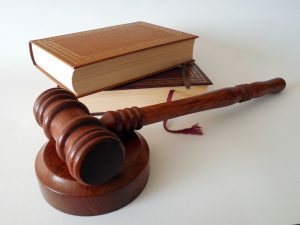 Once the eviction was complete, the successor trustee could complete the inventory of his parent’s estate and clear out his father’s possessions. If you have questions in regards to inherited property, an inherited house or need an attorney, give us a call, we are here to help. As the Realtor hired to sell the home, I managed to complete the pre-listing inspections. To increase the value of the property the successor trustee completed the recommended repairs. The home was listed and sold. The sister living in the home could not request to partition the property because the trust owned the real estate, and the trust directed that the home gets sold after the father died. What are the selling an inherited house tax implications? 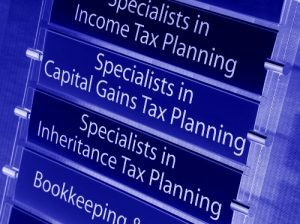 Are there inherited real estate capital gains tax? What is an inherited house basis? What are the inherited house tax rules? Determining capital gains tax is not the role of a real estate professional! Consult with a legal or tax professional to establish if there are capital gains on the sale of a property. It is never easy when parents die. My mom died in April 2015. I had power of attorney and managed her care and her personal finance for 10 years before her death. Even with estate plan documents in place managing our parent’s estate and selling the house may not go as planned if sisters, or other siblings, are living in the family home. If you have any questions relating to an inherited house, we are here to help. You may reach Kathleen Daniels at 408-972-1822.